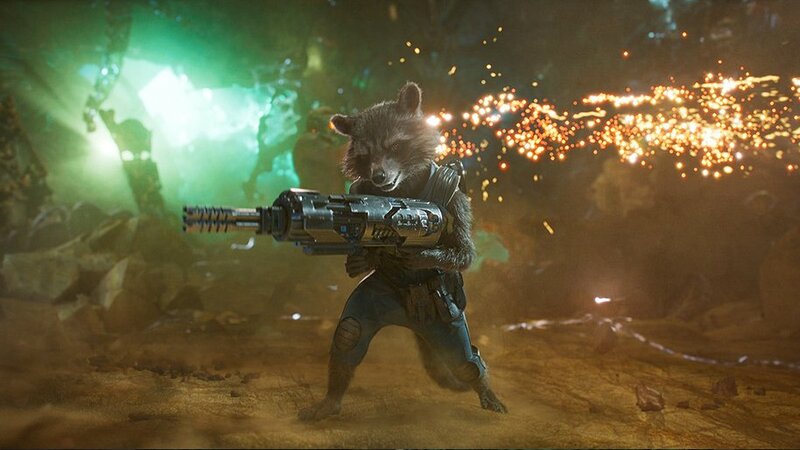 In 2014’s Guardians of the Galaxy, director and co-writer James Gunn gave us a superhero saga unlike any other, not so much because it starred a raccoon and a tree (although that was certainly also a novelty), but because he tacked a 1970s pop soundtrack onto a space opera, and transformed it into a character all by itself. 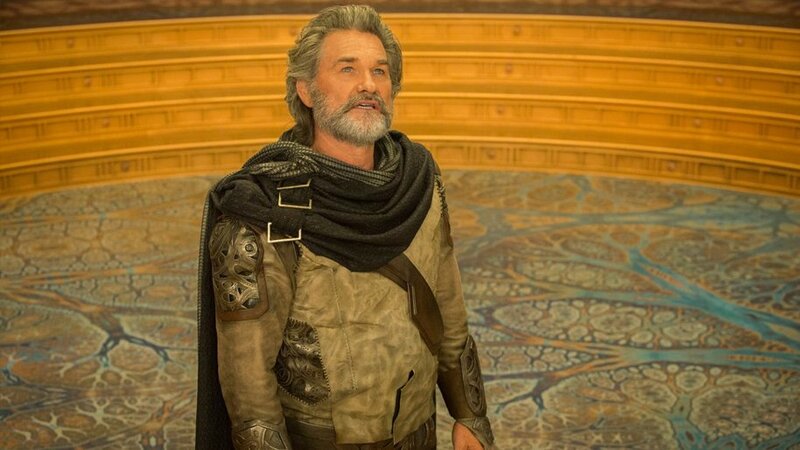 Those songs by The Jackson Five and David Bowie and Melvin Bishop et al told the story from the perspective of protagonist Peter Quill’s mother, who many years after death still followed her son throughout his adventures in the stars. 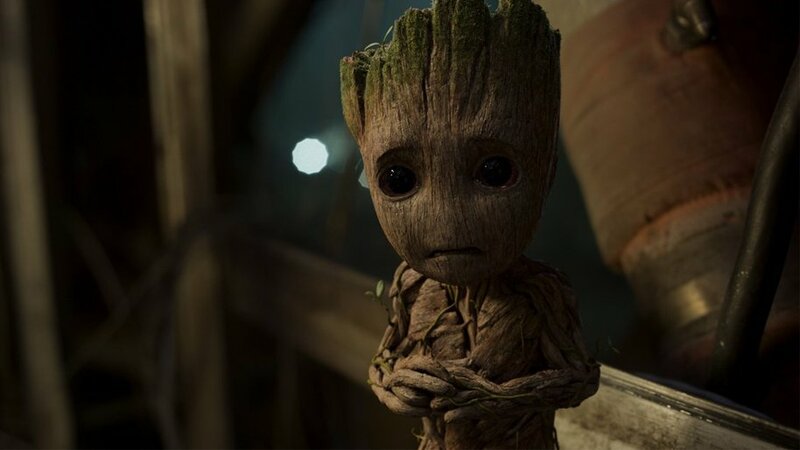 As I sat here, nearly three years later, trying to put my thoughts about James Gunn’s Guardians of the Galaxy Vol. 2 into words, I came to a realization. Words were failing me, so why not take a page from Gunn’s own playbook, and express my reaction to his ambitious sequel with a playlist of my own? So open up Spotify, press “Play,” and let me guide you through my experience watching and evaluating Guardians of the Galaxy Vol. 2 via the following 1970s pop hits, along with some supplemental thoughts about each musical selection, and what it represents in the film. None of these songs are found in Guardians of the Galaxy Vol. 2, but all of them could be, and all of them reflect my feelings about this sometimes funny, sometimes touching sequel that can’t help but feel like kind of a let down. Guardians of the Galaxy Vol. 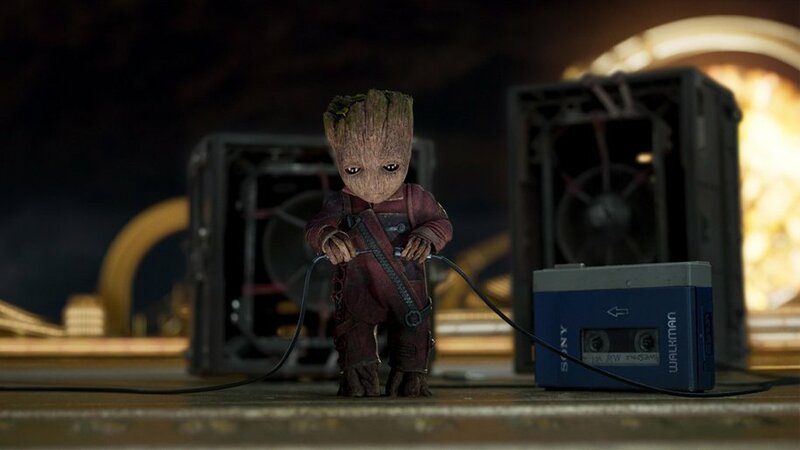 2 begins with a musical statement of theme: a giant action sequence, shoved into the background while the camera lingers on Baby Groot, dancing in the foreground to Electric Light Orchestra’s “Mr. Blue Sky”. This is a film that is going to put character first and plot second. That’s a noble ambition. Unfortunately, with great ambition doesn’t necessarily come great entertainment. “Isn’t It a Pity” represents the greatest takeaway from Guardians of the Galaxy Vol. 2. 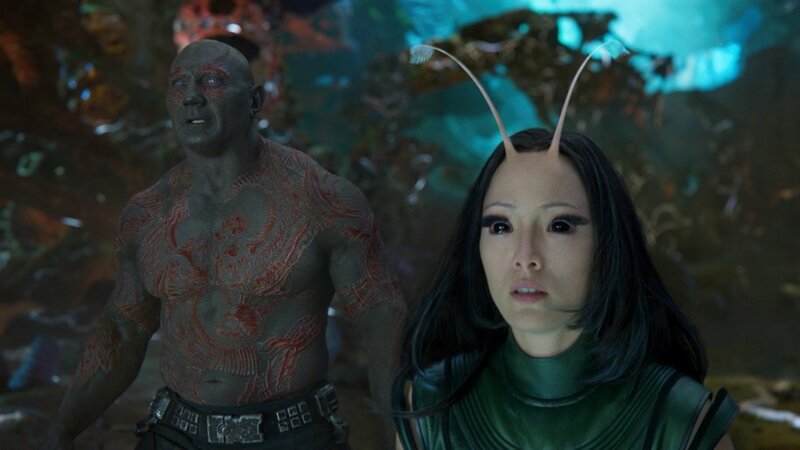 James Gunn has written a film about – to quote George Harrison – “how we break each other’s hearts and cause each other pain,” and “how we take each other’s love without thinking anymore, forgetting to give back.” It’s a film that explores its characters and their emotional baggage… at the cost of narrative drive. George Harrison’s “Isn’t It a Pity” is one of my favorite songs, but it doesn’t symbolize one of my favorite films on this mixtape. It’s miasma of ideas. The contemplative mentality works beautifully as a song, and it could have worked nicely as an occasional counterpoint to our expectations of Guardians of the Galaxy Vol. 2, but James Gunn’s approach is unbalanced and becomes a bit of a drone. After a while you start getting a little desperate for variety, or at least some momentum. From a plot perspective, Guardians of the Galaxy Vol. 2 takes a page from the Star Wars handbook, presenting a sequel quite a bit like The Empire Strikes Back. 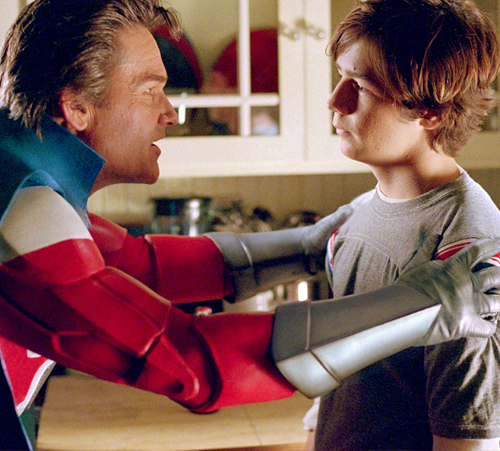 The protagonists from the first film spend much of the second film divided, with Star-Lord’s half of the team on a far-flung planet where a sage-like being – Kurt Russell, playing Ego the Living Planet – repeatedly blows his mind, while Rocket’s half of the team encounters bounty hunters, imprisonment and betrayal. 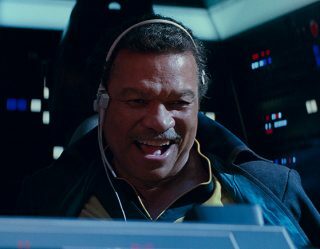 Of course, in The Empire Strikes Back the characters were driven forward: Luke by his need to become a Jedi and defeat the Empire, Han and Leia by a more immediate need to reach safety after the Empire actually struck back. 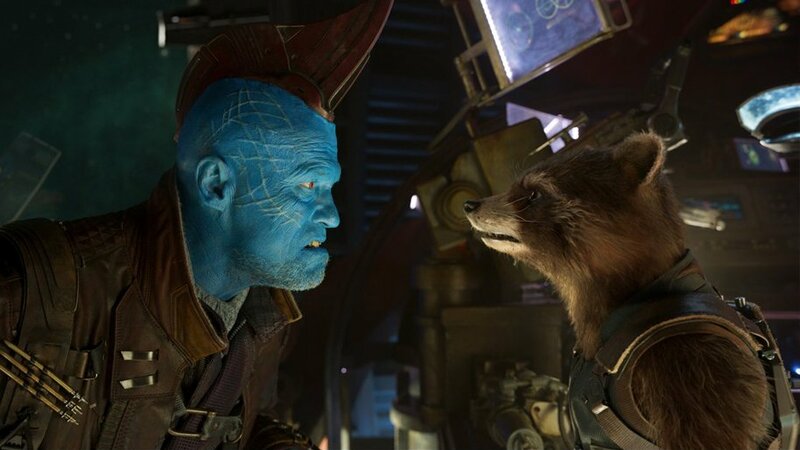 In Guardians of the Galaxy the characters are either engaged in self-reflection for its own sake or act as though they are merely inconvenienced by circumstance. None of the protagonists seem to be driven and, as a result, the whole film gets easily distracted by the nearest stray joke, story element, weird image or song. You know, kinda like a weird disco novelty cover of the Star Wars theme. This song was briefly distracting in 1977 but, listening to it now, it’s easy to wonder why. Surely there was something more important or interesting going on, wasn’t there? 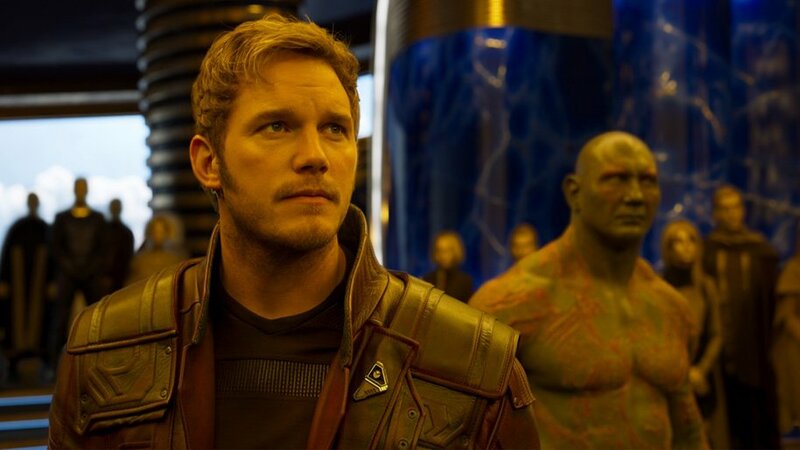 Like the original Guardians of the Galaxy, the sequel is accompanied by an “Awesome Mix,” comprised of hit songs from the 1970s, compiled by Star-Lord’s mother. 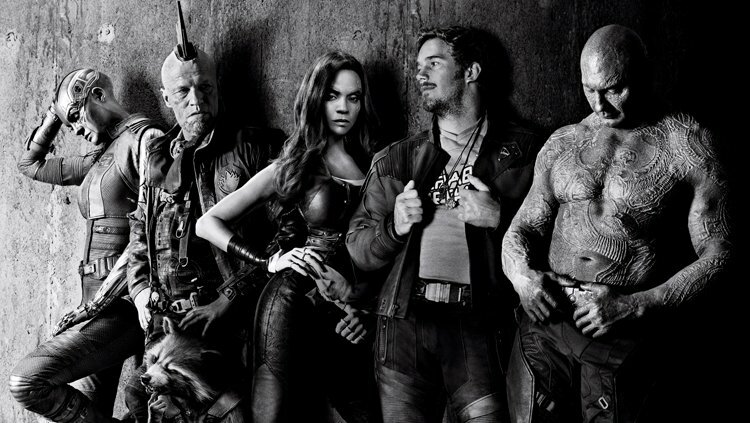 Unlike Guardians of the Galaxy, the new film doesn’t always use these songs to maximum effect. Some of the new tunes, like “Come a Little Bit Closer” by Jay and the Americans, only seem to add incongruous grooviness to an otherwise horrific action sequence. 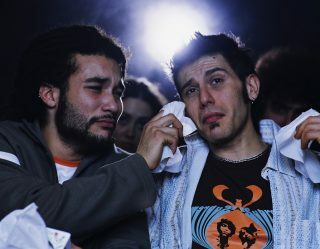 Others, like “Father and Son” by Cat Stevens, are merely on the nose representations of what’s obviously going on in the film or inside the characters’ heads. After a while it seems like the soundtrack, which effectively served as a full-fledged character in the original movie, is now just another collection of “Somebody Done Somebody Wrong” songs, giving us the gist of an idea instead of amplifying the story. 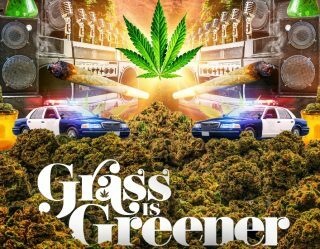 It’s still a pretty good soundtrack, but the first film may have raised the bar a little high. Guardians of the Galaxy Vol. 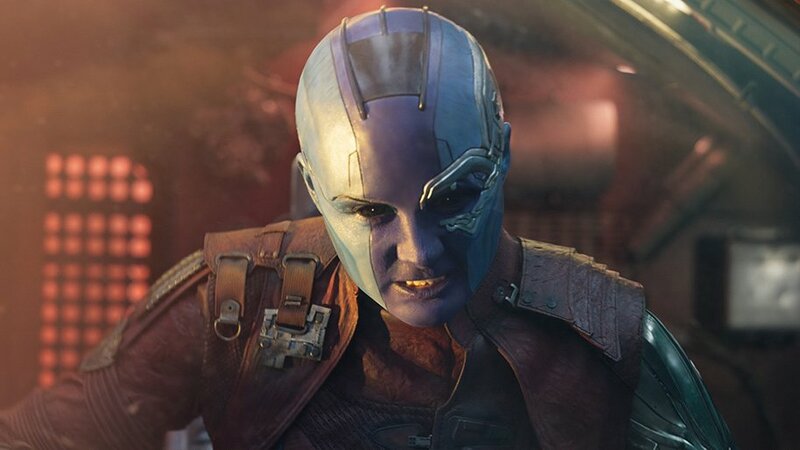 2 is a film about family, in which Star-Lord confronts his long-lost father, Gamora and Nebula explore their antagonistic sisterhood, Rocket is taken to task for rejecting those who love him most, and everybody takes care of a little tree like it was an adopted child. The first film was about lost souls who create their own family, the second film is about keeping that family together. It’s a perfectly nice sentiment, but it gets repetitious after a while. It doesn’t matter how much we love something. If it gets overplayed – like “We Are Family” by Sister Sledge, a good song that we’ve all heard about a million times by now – it loses its impact. How could it not? “I’m living in this movie but it doesn’t move me,” that’s the key lyric to focus on here. Guardians of the Galaxy Vol. 2 isn’t what you might conventionally call a boring movie – it’s a giant, expensive, colorful, humorous blockbuster movie with kooky characters and giant action sequences – but it still makes you want to check your watch every scene or two. 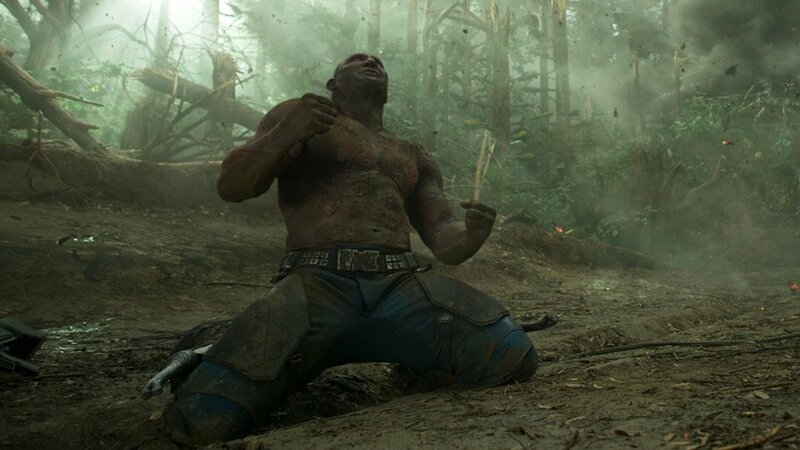 There are moments of greatness in Guardians of the Galaxy Vol. 2 but they’re all little character beats, unexpected instances of punk rock in an otherwise straightforward greatest hits compilation. It’s the look in Star-Lord’s eye when he finally realizes his true potential, and how excited he is to squander that. If Guardians of the Galaxy Vol. 2 had managed to sustain that renegade energy it might have been a great movie. The lack of forward momentum in Guardians of the Galaxy Vol. 2 is, once again, a real problem. There’s nothing that pushes the characters forward and that means even a great action sequence, amusing and well-executed, has little impact. What could have been great set pieces come across like little asides because, most of the time, the characters aren’t terribly invested in the outcome. They treat everything like it’s nothing… up until the end. In the end there’s a big climactic action sequence, which brings all the emotional storylines and subplots together for an enormous and expensive CGI spectacle, but it too comes across like silliness. The rules of engagement are rarely clear, and the characters are so dedicated to being playfully glib that they don’t necessarily respond to their situation with the sort of emotional realism we’ve come to expect after the rest of the film’s deeply heartfelt subplots. Guardians of the Galaxy Vol. 2 may be a scattershot film but it builds to an emotional moment that, undeniably, works beautifully. Even if you were zoning out a bit during the middle, or were only vaguely bemused throughout, the conclusion of James Gunn’s film is handled sweetly enough to have a meaningful impact. Over the course of these two films we’ve been through a lot with these characters, and they’ve been through even more together. They have earned their moment of quiet retrospection. They have earned their hugs and even their tears. Whatever flaws Guardians of the Galaxy Vol. 2 might have, the characters are just as wonderful as ever. They’re jerks with feelings. We feel for them. Well done, James Gunn. Guardians of the Galaxy Vol. 2 is a difficult film to criticize, because it’s easy to admire its ambitions and just as easy to acknowledge that they aren’t always achieved. I’ve spent quite a lot of time now trying to decide whether I even like it or not. I felt some feels and had a few belly laughs. I liked visiting these characters again. But I wasn’t always interested in what happened to them. James Gunn appears to have made a movie for his characters and not for the audience. I’m glad Guardians of the Galaxy Vol. 2 exists. It’s an interesting experiment in telling a blockbuster story with a whole bunch of b-plots, and nary an a-plot in sight. It’s nice to visit these characters again. I want more of these movies. Heck, I might even feel like I need more of these movies. But there ain’t no way I’m ever going to love this particular installment. It’s too much of a hodgepodge to celebrate it fully. Guardians of the Galaxy Vol. 2 might just give you the sort of narrative variety you’ve been wanting from Marvel Studios. If so, that’s great. If you just like the characters so much that you’re willing to overlook the rest of the film’s prominent flaws, that’s a reasonable reaction. 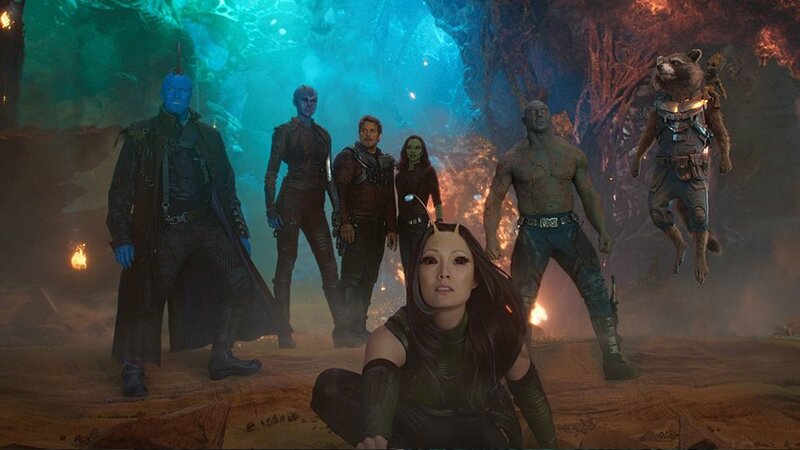 There’s nothing so terribly wrong with Guardians of the Galaxy Vol. 2 that the film can’t be forgiven. Yes, it’s a pity that it’s not as good as the original. Yes, you may experience a little boredom. But it may give you a rare opportunity to reflect on your life in the middle of a big summer blockbuster. And whatever gets you through the night, as far as John Lennon and I are concerned, is alright.